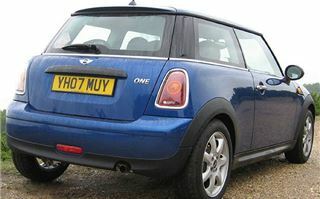 Unlike the old MINI One, the new One is a 1.4 rather than a 1.6. So you can’t simply programme out the throttle restrictor to get Cooper performance from it. You have to settle for the 95PS it comes with. 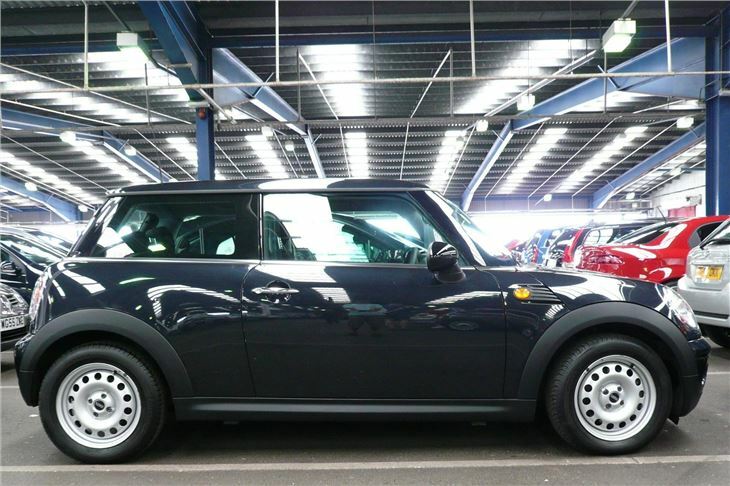 But, of course, the point of the One is to offer MINI looks for less money and a MINI that’s insurable for kids at an affordable Group 5. 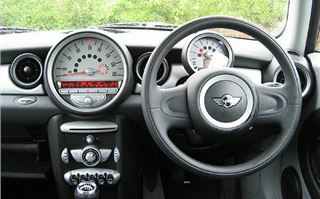 Inside, unless you go for the Pepper pack, you get quite a nasty plastic steering wheel that is plainly there to encourage you to spend extra for leather. But the Pepper pack is expensive, so you may prefer to choose your own goodies from the long list. 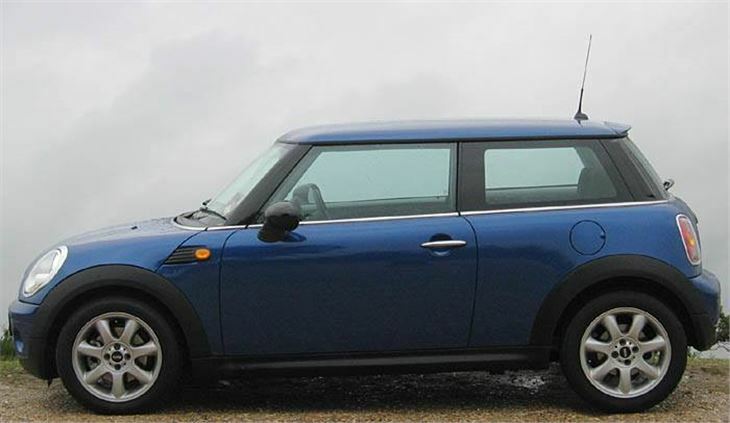 The One is obviously neither as fast nor as much fun as a Cooper or Cooper D. But on the same optional 195/55 x 16 Goodyear Excellence tyres handling is the same as the Cooper D. And, despite lower overall gearing of 25mph per 1,000rpm in 6th, road noise on the motorway seemed more subdued than in the Cooper D. Possibly due to a combination of the lighter engine and higher revs partly drowning out the tyre roar. 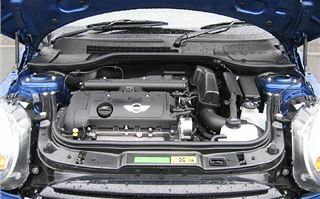 I compared it directly to ‘my’ 207 GT THP 150 and though SWMBO prefers the ride of the 207 on its 17” wheels, I thought the 207 both more crashy over manhole covers and a looser drive. 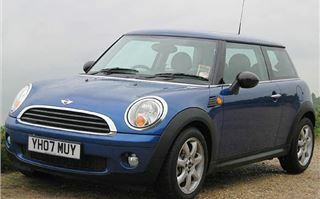 The opposite of how I felt about it originally compared to the Cooper S I drove last November. So I guess Herr Radibojevic really has got the new MINI handling the way the marketing said it would. 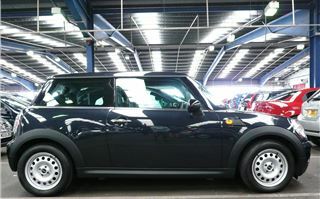 I’m going to have to try another Cooper S, this time on 16” wheels. Quality is exactly the same whatever MINI you buy. You still get a gas strutted bonnet, runflat tyres, big central speedo, rev counter (now standard on the One), electric windows and mirrors. Aircon is an extra, though. The headlights no longer go up with the bonnet and are the easiest I’ve recently seen to change a bulb on. During my week with the car, one problem area became apparent, and that is reverse-parking. 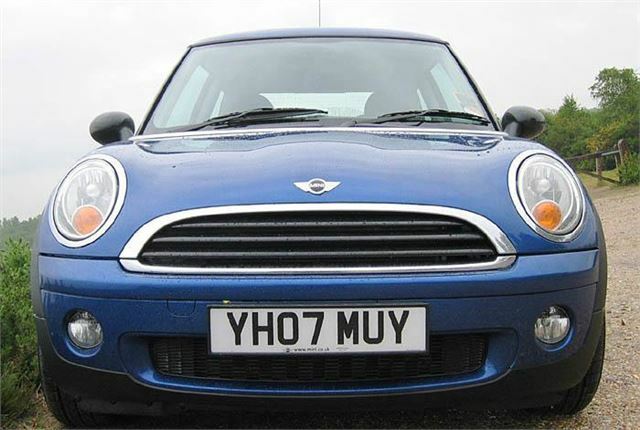 Unless you angle the passenger mirror down, it’s almost impossible to work out where the rear nearside wheel is. 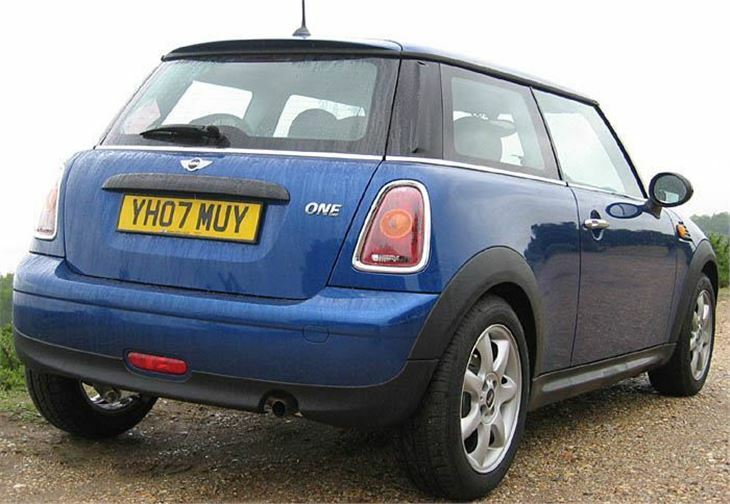 Surely a problem for MINIs used by driving schools? And I’m not sure about the gearing. 25mph per 1,000rpm gives a nice relaxed cruise, but it’s totally gutless. And this overgearing for the power output feeds its way back down the box making 3rd less usable than it should be. Maybe lowering the final drive just a little bit would help a lot, though that might also affect fuel economy and CO2 output. 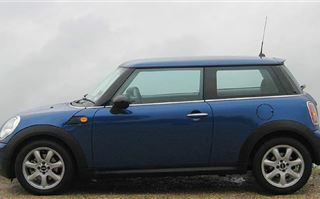 Nevertheless I liked the MINI One. I enjoyed the fun feel of the direct way it drove. And while I had it I saw hundreds of MINIs on the road. New model. Old model. They seemed to be everywhere. BMW has built more than a million of them. Even though they are much more expensive cars than the original 1959 Mini was, they seem to fit our much more affluent 21st century lifestyle in the same way. And at least BMW makes money out of them. Something that BMC never did.